Pre-1918 Hanna, Wyoming. Wyoming State Archives. In 1889, workers began mining for Union Pacific at Chimney Springs. If you have not heard of this town that is because it’s what we know of today as Hanna, Wyoming. Hanna’s history is filled with ups and downs, growing with the many booms and suffering from the busts. The population has fluctuated with the booms and busts in town, but the community has continued to thrive no matter what. The mines brought workers from all different ethnic and racial backgrounds such as Scandinavians, African Americans, and Japanese. Though some groups formed their own communities such as Elmo, a Finnish village, most integrated within town creating the community of Hanna. With the population continuously changing, and various clubs, churches, organizations, and dances needing a space, the Community Hall in town became a hub for people and groups to utilize and socialize. 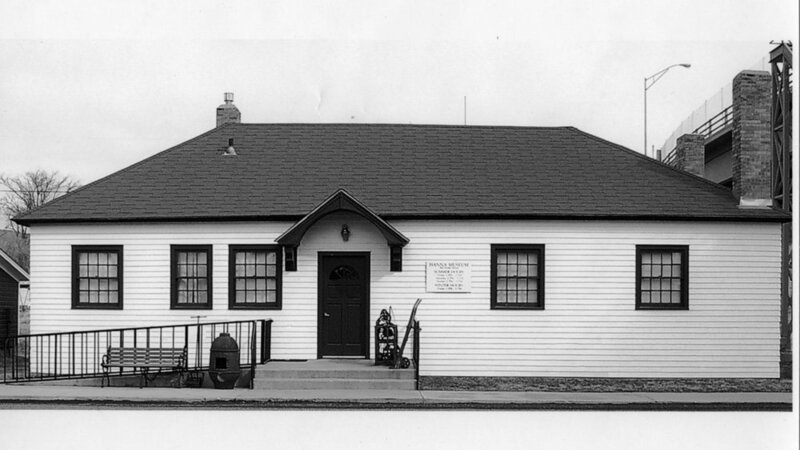 Throughout the span of Hanna’s existence the Community Hall has always played a part within the town’s history. The Community Hall was built by John Linden, a Swedish carpenter. The structure is a single story clapboard building with a asphalt shingled roof. The building was originally a saloon north of the Hanna basin, but a year later he moved it into the town setting up his business on Front Street. Up till Prohibition era, LInden sold liquor and held dances within the building, but when alcohol became illegal to sell in Wyoming, Linden sold the structure and it became a pool hall. In the 1920s the pool hall became the social center hosting Scout groups, First Aid clubs, and monthly socials. It eventually housed a community library, Hanna’s African Methodist Episcopal Church, High school classes, basketball games, and a movie theater. The community hall became the center of Hanna and fostered a way to establish roots within the region. The Union Pacific Railroad recognized how important the building was to the town and provided funds to remodel around the 1930s, which allowed for the addition of a small kitchen and shelving for the community library. In the 1950s Hanna suffered a major bust that included all company buildings sold off or moved. This made community council act fast and appeal that the Community Hall remain in Hanna. They were successful and the building was sold to the city for a dollar, allowing the Community Hall to remain the center of Hanna. As Hanna became its own town separate from it’s mining history and endured more busts, the Community Hall has remained a permanent fixture to this day. It currently houses the Hanna Basin Museum and was listed on the National Register for Historic Places in 1983. This building is perfect as the town’s museum because it represents the area’s history and memorializes the diverse communities in Hanna’s history. Speight, James G. Fork-Tail Devil: The Biography of First Lieutenant Robert Carl Milliken (US Army Air Corps, 1942-46) World War II Fighter Ace and Husband, Father, Grandfather, Great-Grandfather. AuthorHouse. 2015. Older PostWho built Fort John?